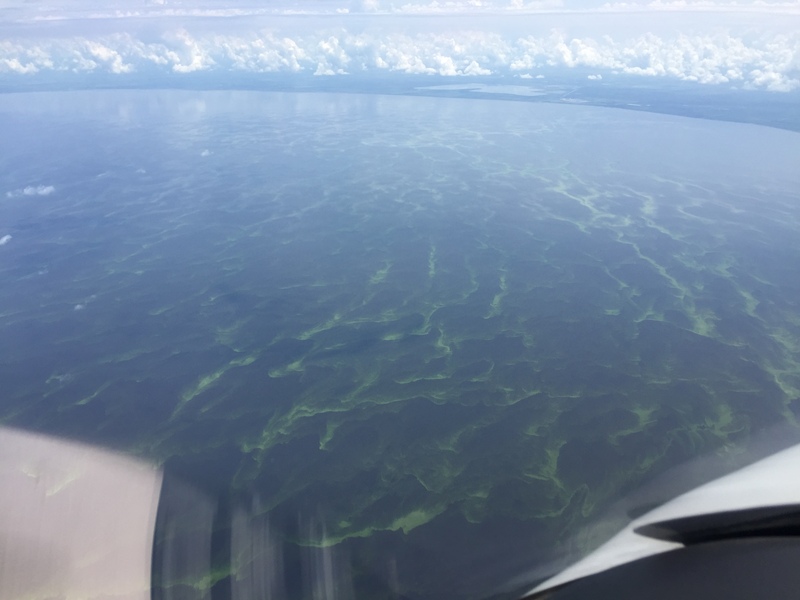 The blue-green algae, the cyanobacteria–sometimes toxic— that we first saw in aerial photos over Lake Okeechobee weeks ago, is not only here, it is everywhere…our river has been made completely fresh by our government. 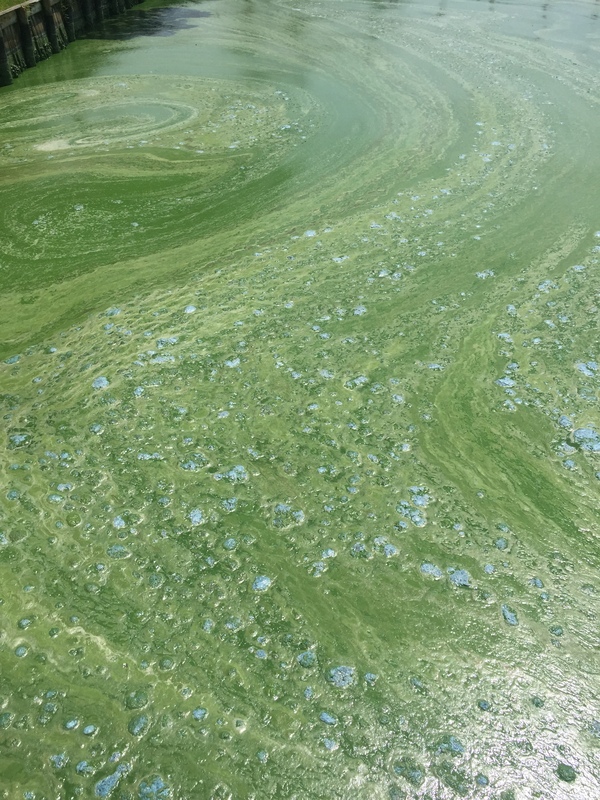 Now the algae is blooming fluorescent green-blue, dying a putrid brown-green, flowing out of our inlet, and poisoning not only or rivers’ shores but our beaches. 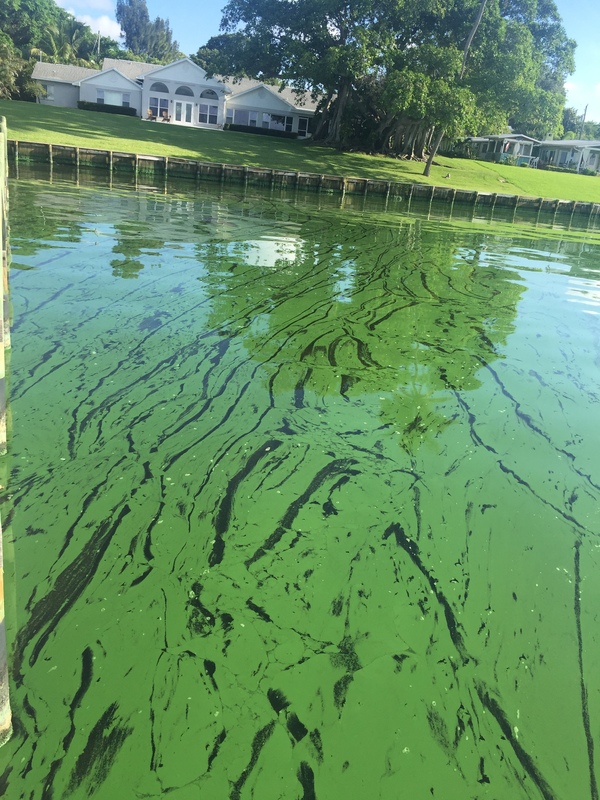 On the widest level, this is a health hazard brought upon us by a “knowing government.” Our state, federal, and local governments have seen this coming for years. 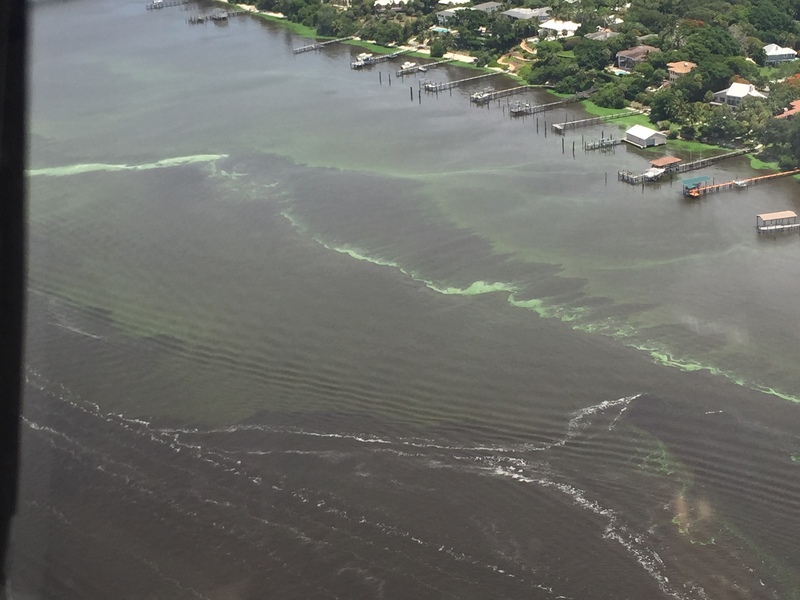 The slow and steady destruction of the St Lucie River/Indian River Lagoon is well documented. 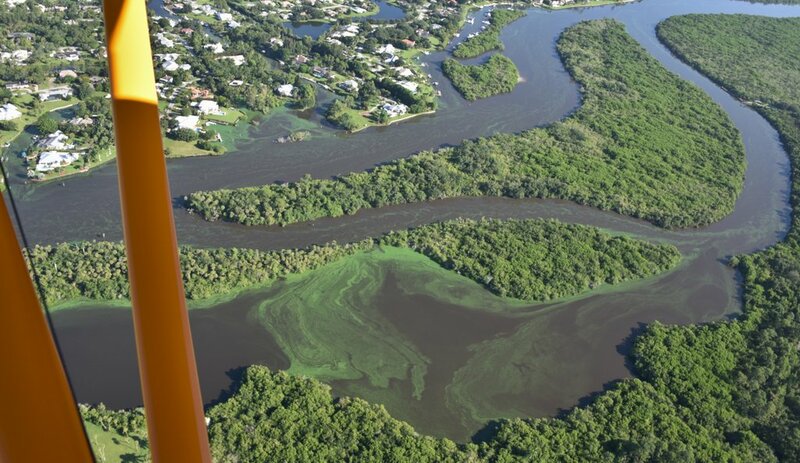 The St Lucie River was first declared “impaired” by the state of Florida in the year 2002. I have been blogging about this for four years. 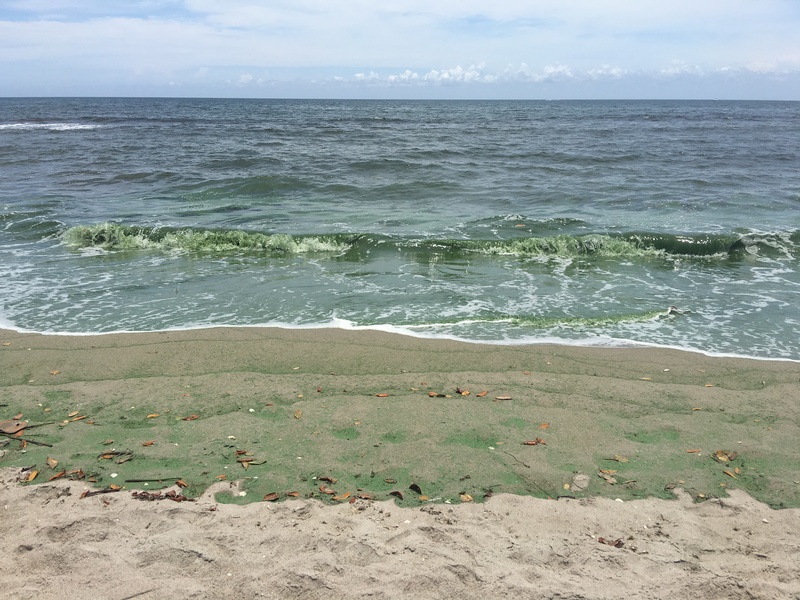 Now, in 2016, all of Martin County’s beaches and the southern most beach of St Lucie County are closed. 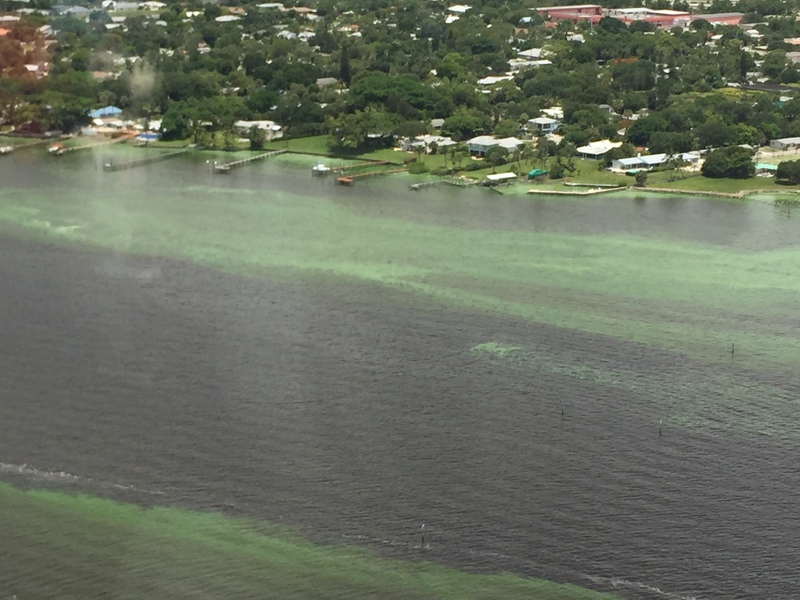 Palm City; Stuart; Rio; Sewall’s Point, Jensen. All waters are off limits. 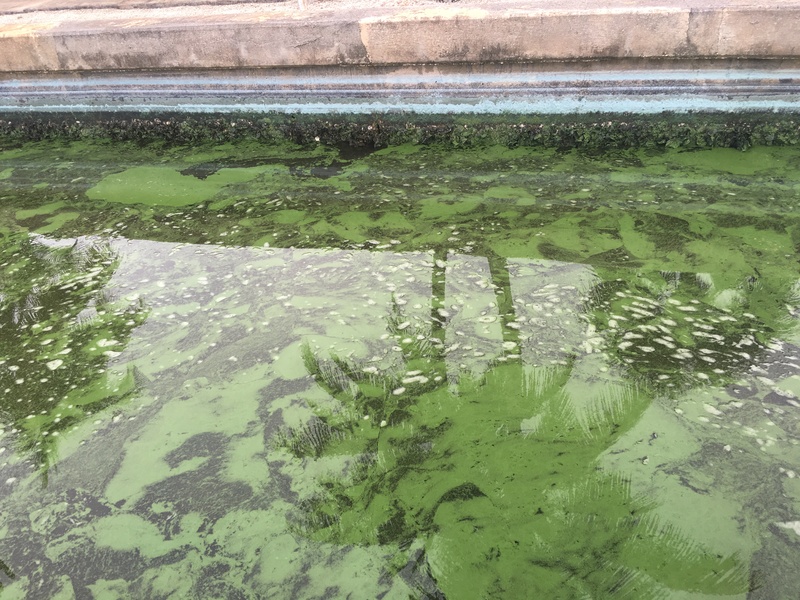 “Don’t Touch the Water.” –A health, safety and welfare issue for the people, a nightmare for local government, and a complete environmental and economic disaster for us all. Included for purposes of documentation– to be added to the thousands of other posts on social media this weekend— I share the following, some that were shared with me…Divided into 8 sections: 1. 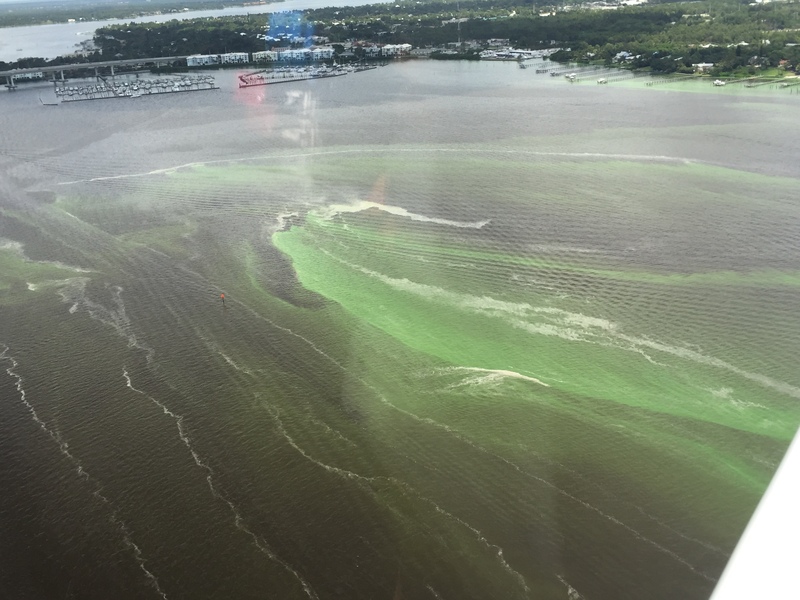 Algae in the waves at Bathtub Beach, by JTL; 2. algae aerials at C-44, S-80, and S-308, by Dr Scott Kuhns; 3. 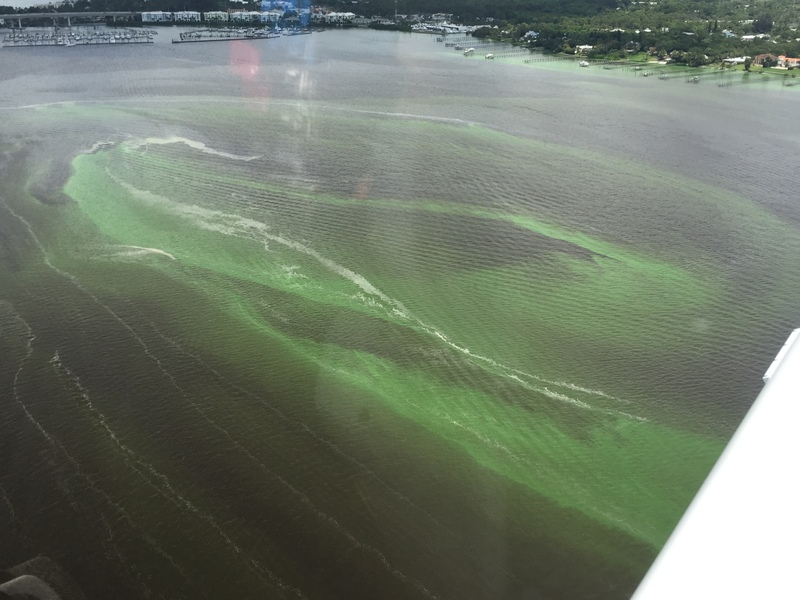 Lake Okeechobee and St Lucie River’s extensive algae bloom, by jet pilot Dave Stone, and local pilot Ron Rowers; 4. Rio, a residential disaster, Jeff Tucker; 5. 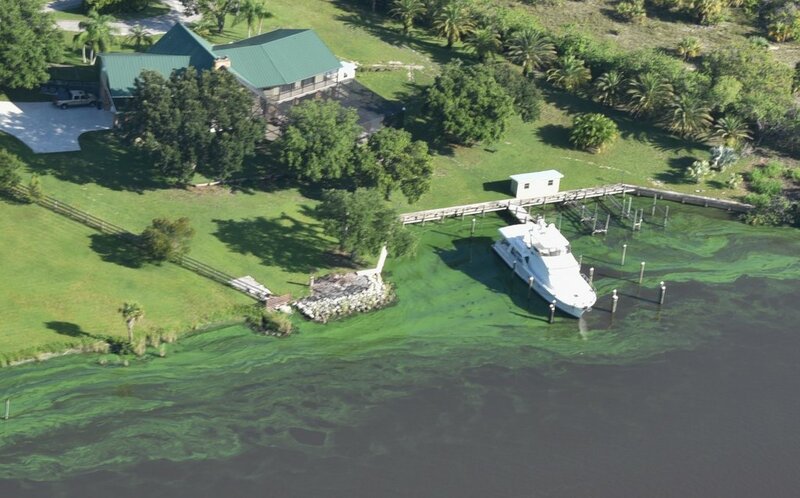 Sewall’s Point as seen from the Evan’s Cray Bridge with a river full of algae by walker Tracy Barnes; 6. 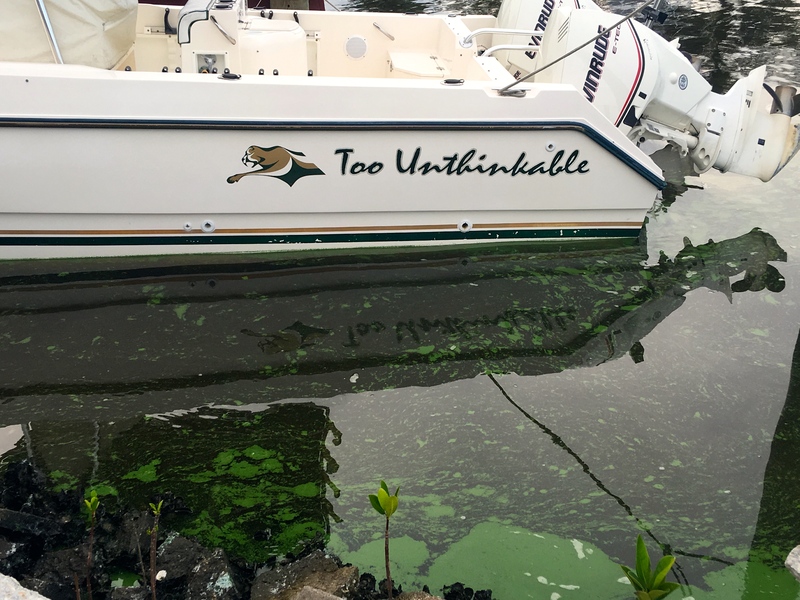 Rebecca Fatzinger’s duck eating algae; 7. my Uncle Dale Hudson’s lead to Snug Harbor’s Marina “a multimillion dollar disaster,” and 8. 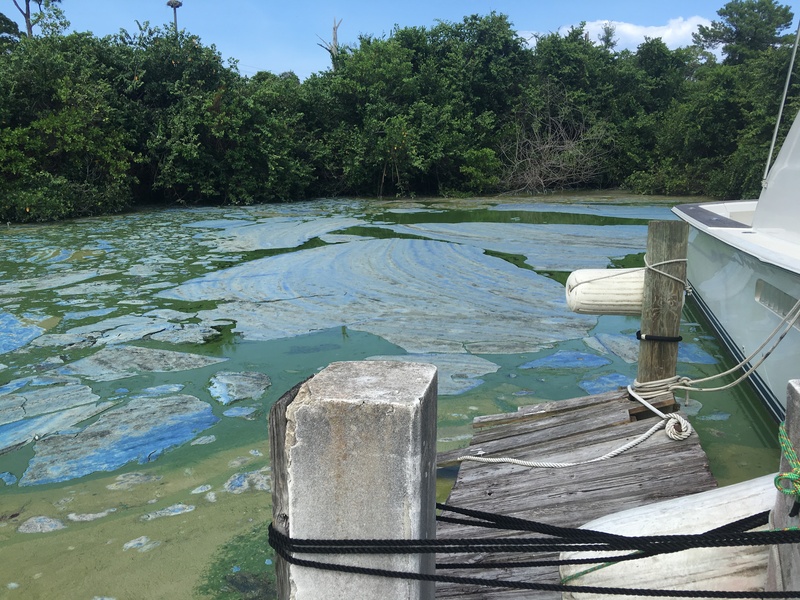 Really blue-algae at Central Marina, Stuart/Rio. The outpouring of the public is immense, and the powers that be, must look our way. Document, call, write, demand, and VOTE. II. 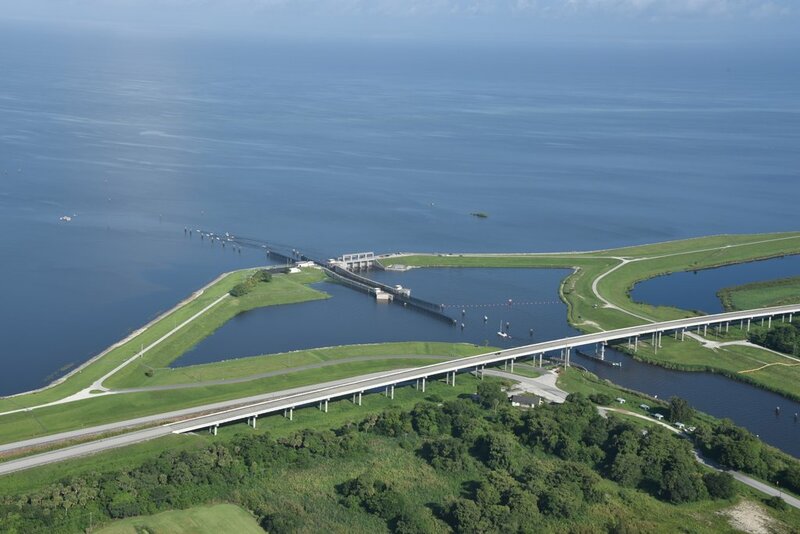 Photos by Dr Scott Kuhns Lake Okeechobee, Port Mayaca (S-308), St Lucie Locks and Dam (S-80) and C-44 canal. All aerial photos taken 6-25-16. 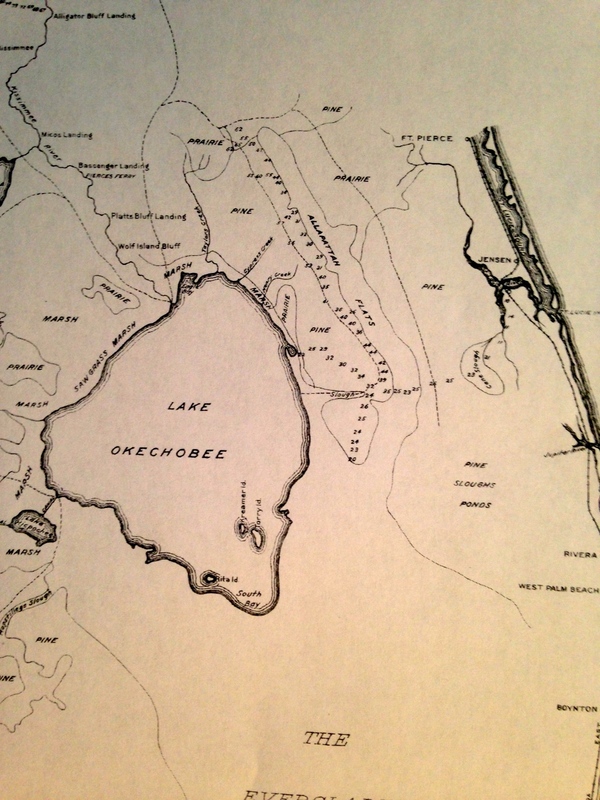 S-308 structure at Port Mayaca, heavy glare on Lke Okeechobee–bloom visible on bottom left area of photograph. Near Fuge Street in Martin County approaching Palm City from C-44 as it connects to the South Fork of the St Lucie River where original curves still can be seen. III. 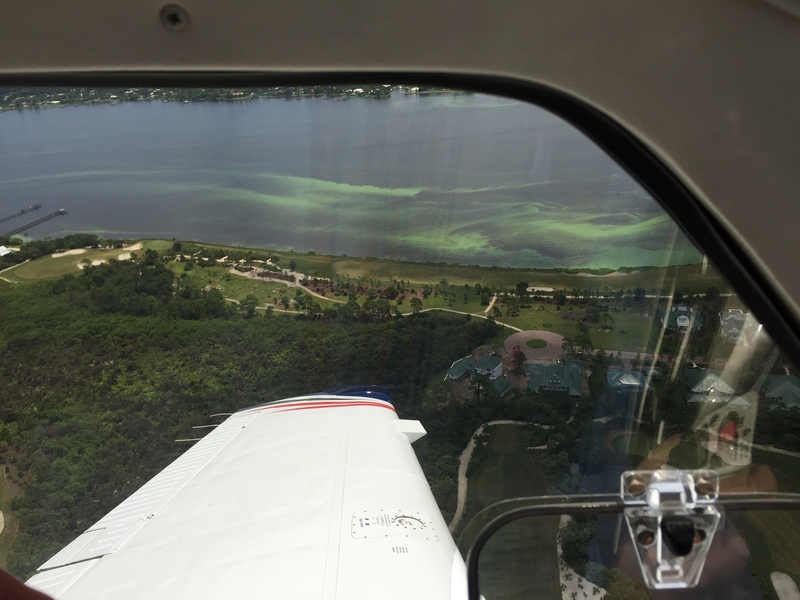 Professional jet pilot Dave Stone coming from Lee County to Martin County 6-26-16. 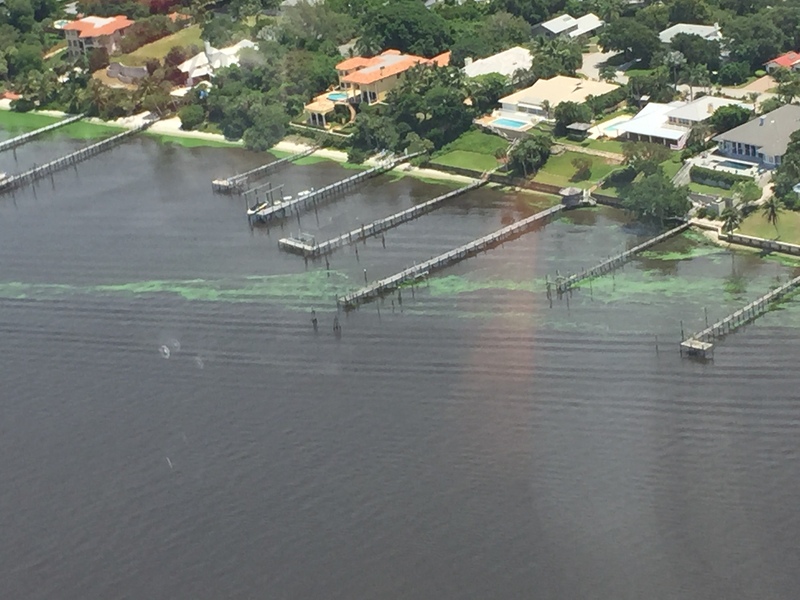 Aerial Video St Lucie River approaching North River Shores at 700 feet. 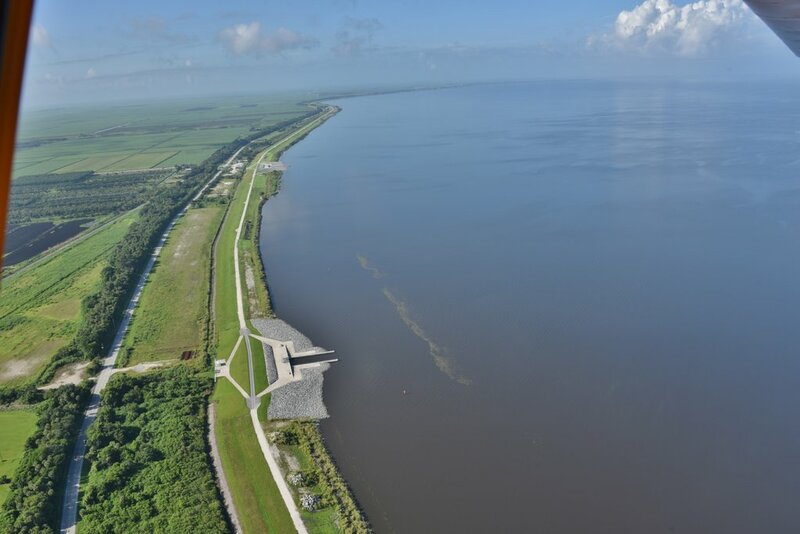 Lake Okeechobee from 13,000 feet, Dave Stone 6-26-16. 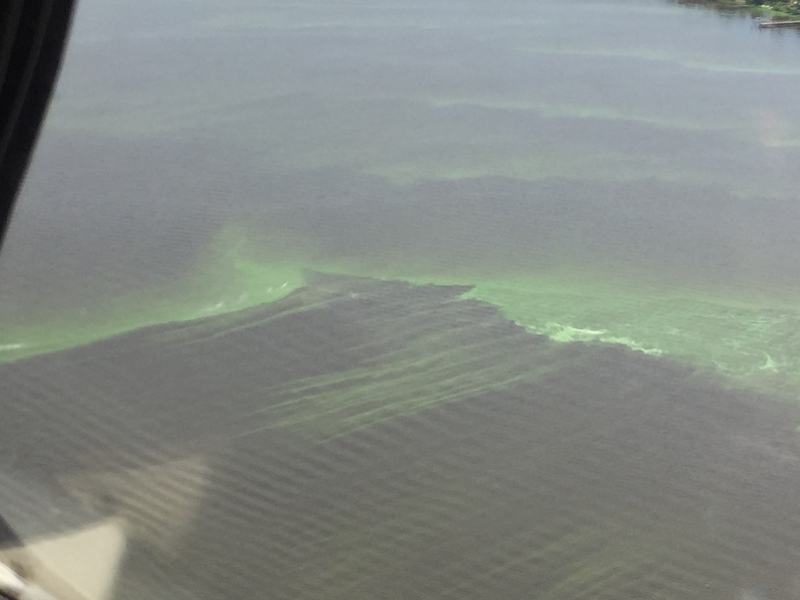 Mr Stone said algae on the top of the lake is visible as far as the eye can see. 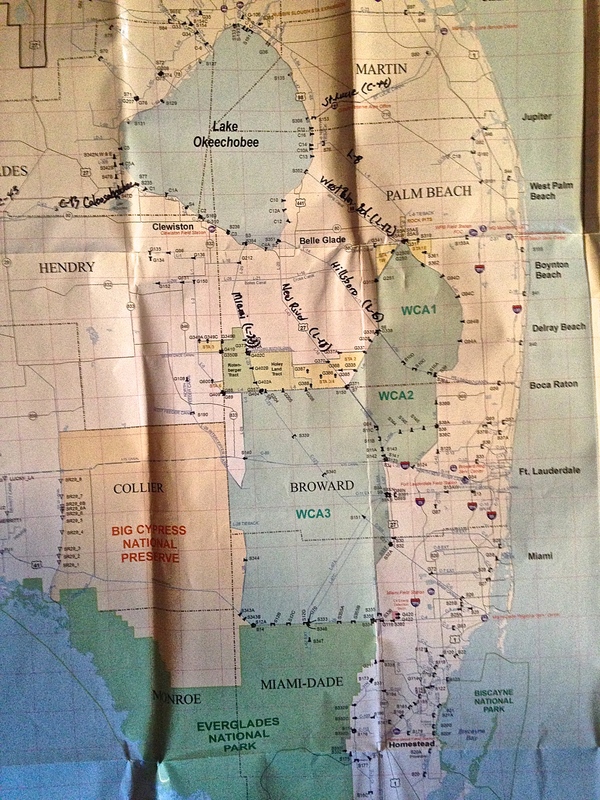 Floridian on west side of SLR–the border of Martin and St Lucie Counties. Video of Sewall’s Point walking over bridge. 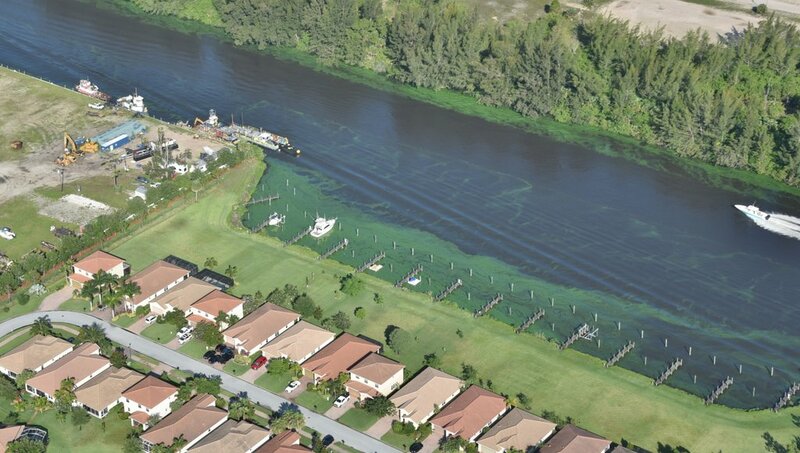 River full of algae. 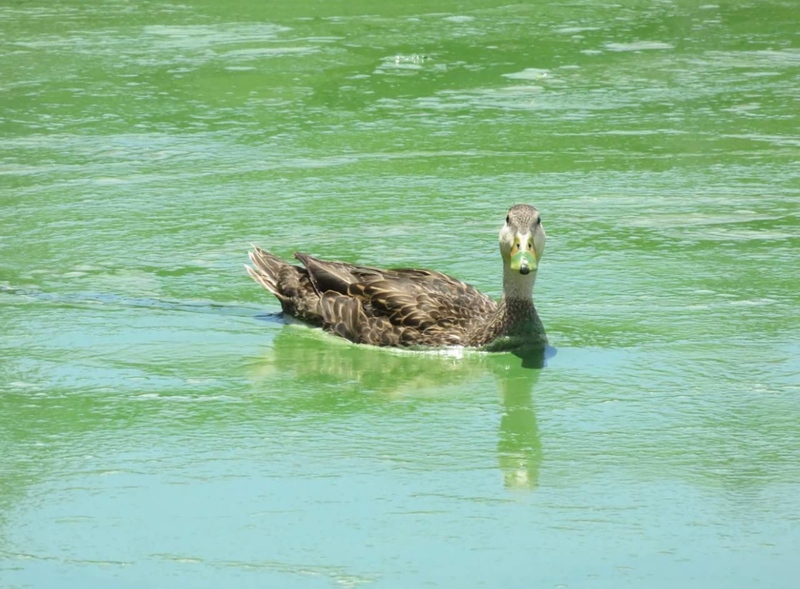 Duck in St Lucie River’s bloom, Rebecca Fatzinger 6-24-16. VII. 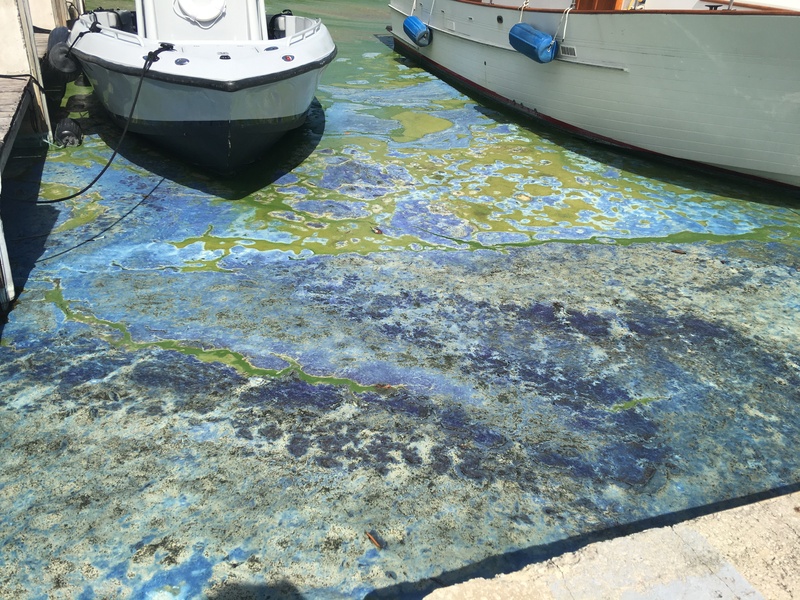 Dale Hudson, alerted Ed and I to Snug Harbor Marina where we took these photos yesterday. Snug Harbor Marina, JTL Ed looks on. 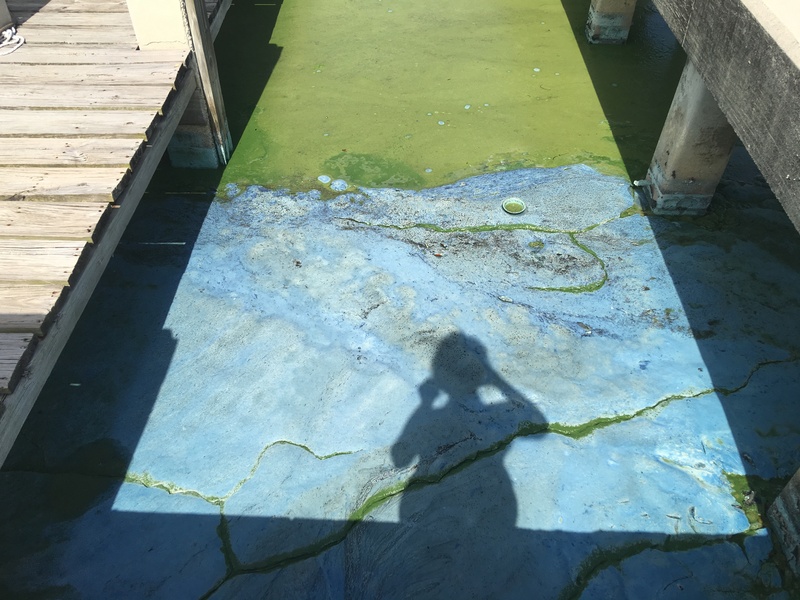 Green algae turning blue at Central Marina 6-27-16. As awful as this is, the work you and Ed have done is so important that. Thank you for that. So sad. 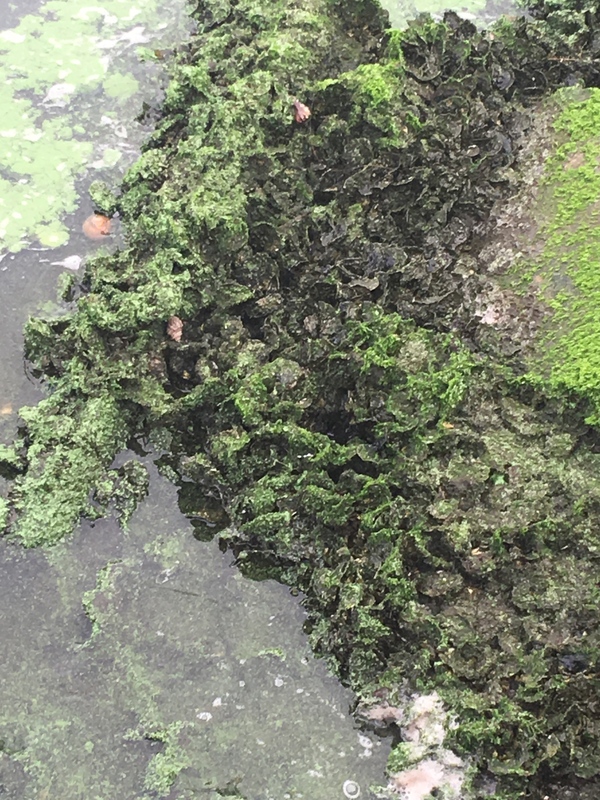 What is the genus and species of this algae? Can it be traced to the source of its orgin to force a clean up by the offender? Bravo Jacqui! 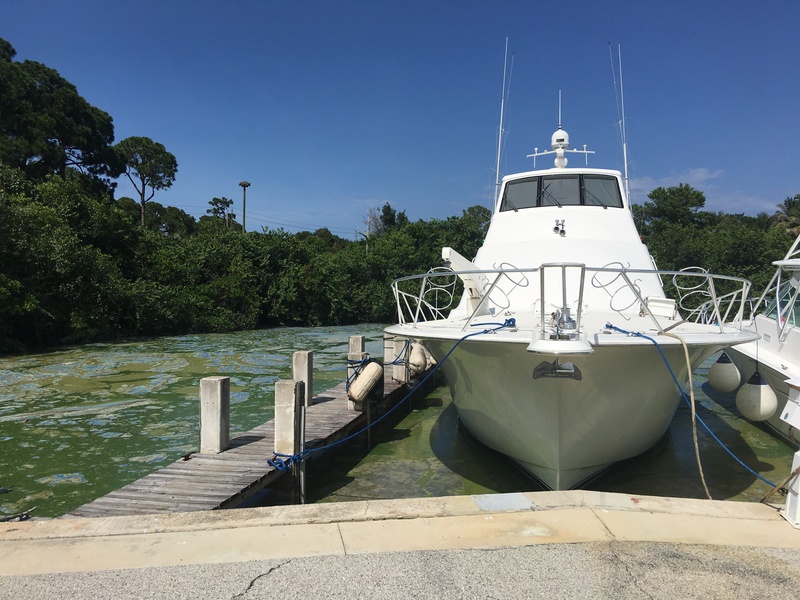 Saw the “Snug Harbor Marina, JTL Ed looks on” view amonst others on the 5 o’clock news on channels 5 and 12 – with the news that Erin Brokovich is posting on FB!!! This is what I just posted on her page: MANY THANKS, ERIN from us here on the Treasure Coast. 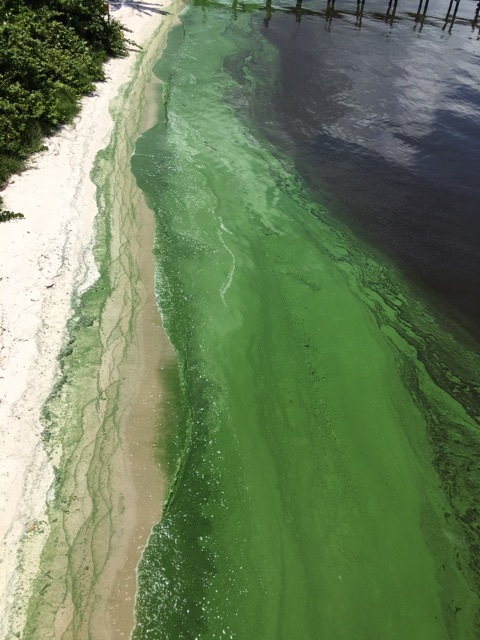 This will be worse than the summer of 2013 – a huge environmental disaster for many industries that depend on a healthy ecosystem. 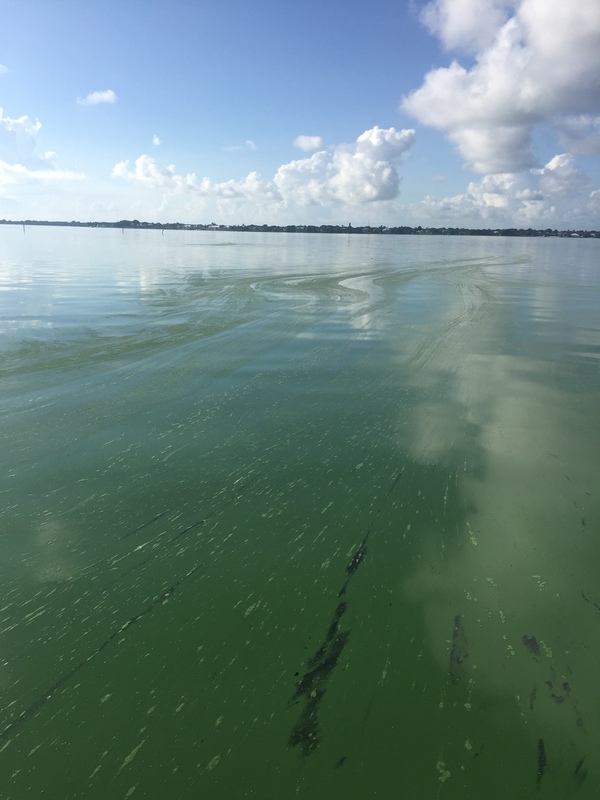 Not only are the coastal waters being poisoned, the Indian River Lagoon is infested with invasive lionfish which is decimating the native fish populations. The people have been warning the politicos for years and now it’s worse than ever. I’m sending another request to Erin Brockovich for her to send her chief water investigator here – if she doesn’t come herself. Did you ever hear back from her? 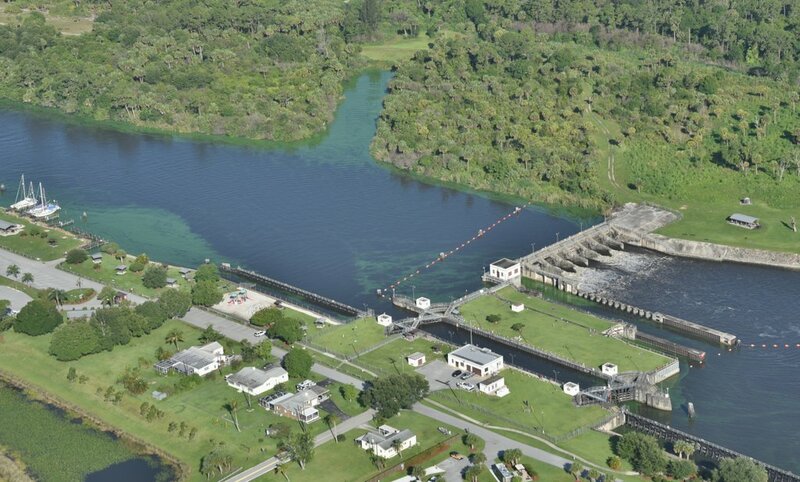 It is the same on the Caloosahatchee River leaving on west side of Lake “O”. 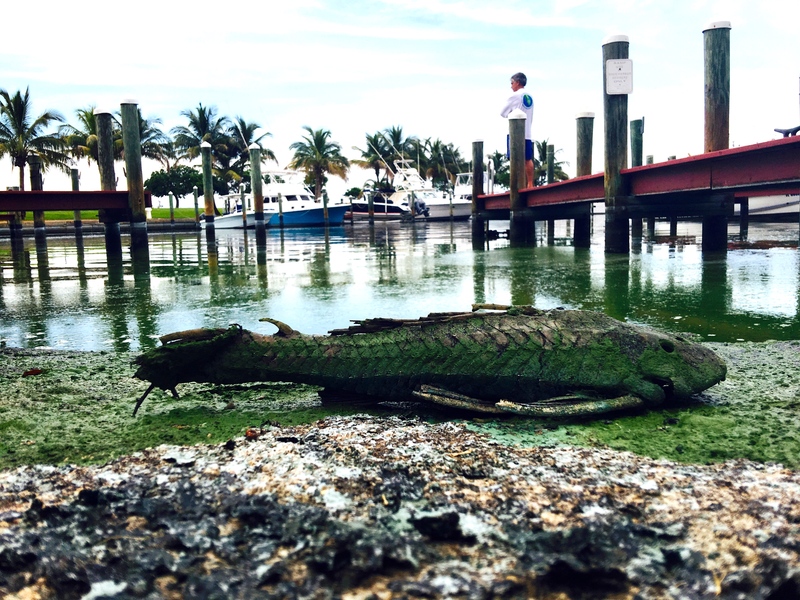 Dead Fish, restricted entrance to water, smells, killing coast line with fresh water all the way to ocean beaches. The tourist towns of Naples, F.M. Beach, Estero, etc lost income. The Army Corp of Engineers has known of this for years and years, and it continues. 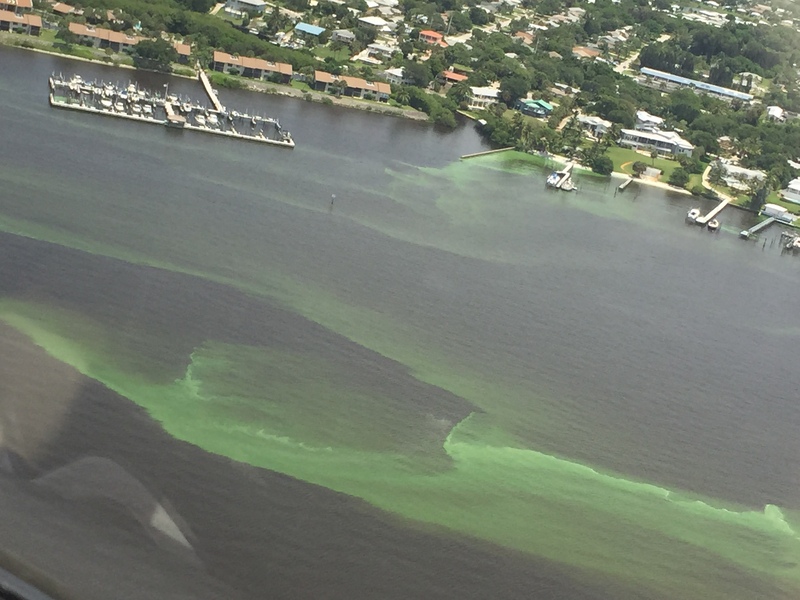 Destruction of FL business and what do city councils and state governor do? 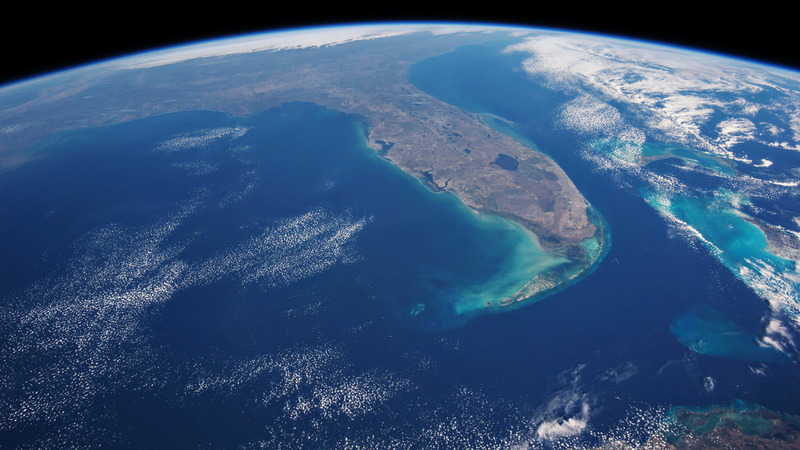 Give huge financial gifts to build new ball stadiums, recreation stadiums, business incentives in the multi millions to get businesses to move here and set up shop in FL, and the beauty of FL keeps being destroyed because no money. Don’t forget all of the corporate welfare money going to big agriculture in the region. I’m would guess that run off from their vast farms are somewhere at the root of this mess. When bacteria eating algie start sucking all the oxygen out of the water it is inportant to put calcium sand in to STOP the fish from dieing. 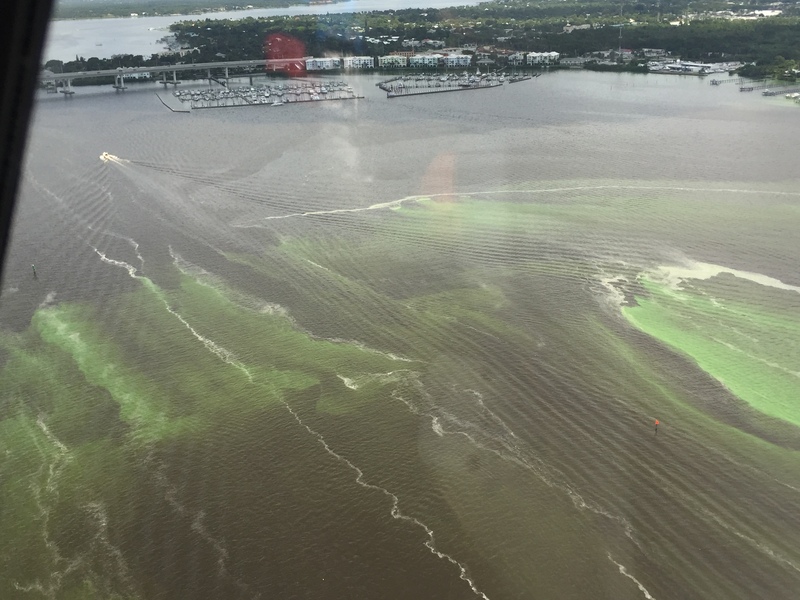 Bringing the lagoon back to life is much less dramatic if the power of a hurricane rips into a calcium deposit. I believe all the natural domoic acid is nutrilized and h2o2 breaks everything down. 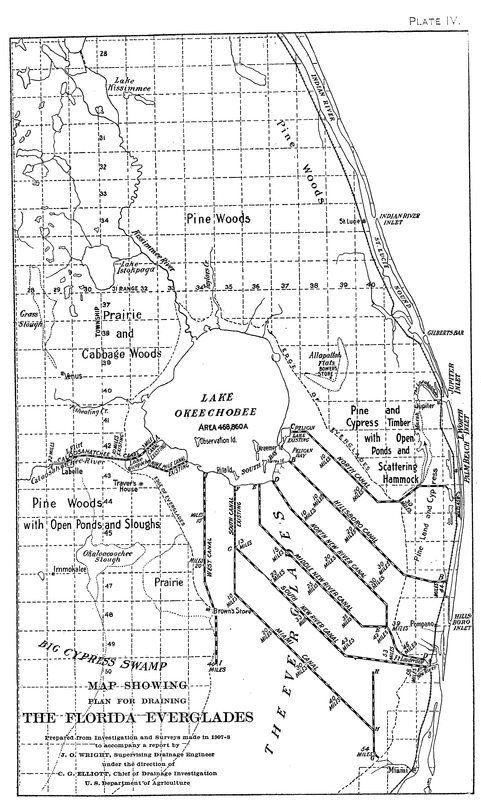 I believe huricane Charlie brought all the grass flats back in Tampa and I saw first hand how Huricanes Francis and Gene restored all the life when they tore into the calcium jungle trail road in Wabasso. 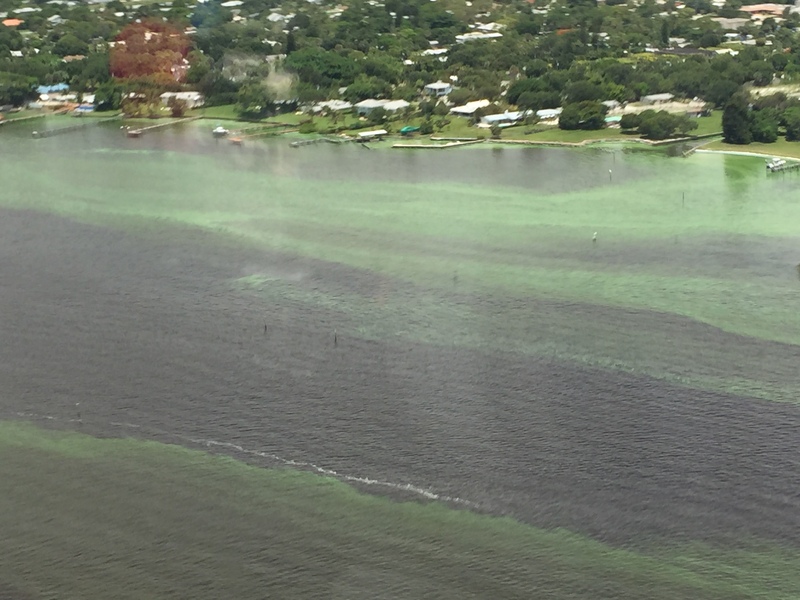 Is this mess caused by run off from the big agriculture in the region? Rick Scumbag Scott is pleased. He should get another $100 million form the sugar industry and millions more from various corporations wanting to bypass the EPA. For every person who voted for Scumbag Scott, I HOPE the value of your home plunges because of this. We need an unimaginable hurricane to wipe us out so the ego system can recover. 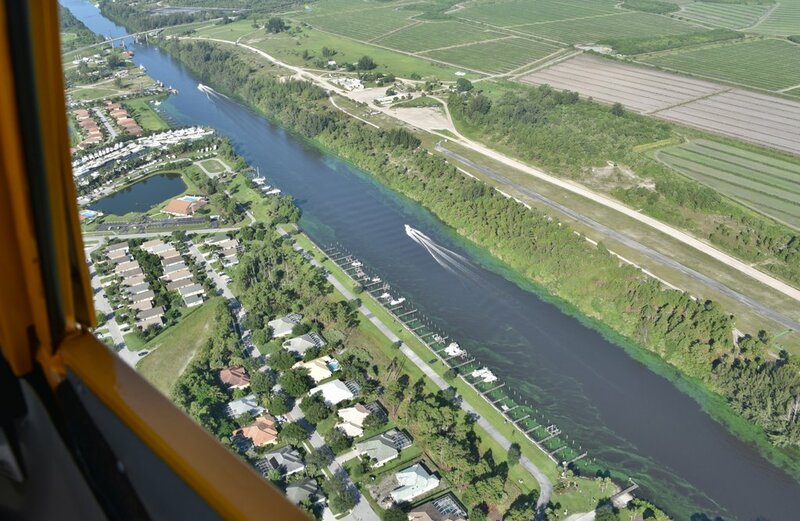 Fertalizer, road run off, abandon sail boats with 1,000 pounds of lead attached to bottom, every canal has a sewer plant, millions of power boats warming the water while your government gains revenue from all the above activities that destroy the river that we all do so quit crying. How to be in the middle of the ——- (poop) and come out smelling like a rose? It seems like this is something I have been doing all my life. It is simple—-keep putting the calcium sand in. This will add desolved oxygen so bacteria eating the algai will complete the cycle and there will be NO fish kill. Everything I am telling you is true and based on hard facts—someday I may tell you the whole story.